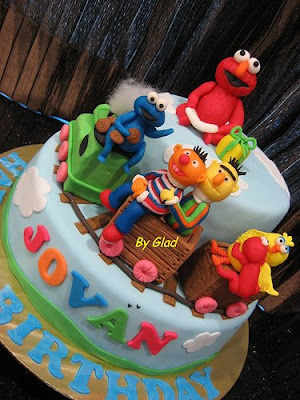 Jovan's mom requested for something similar to this cake. I tried to make it as closed as possible except for the position for some of the figurines. Tho' I usually don't upload the same design again but this one I can't help myself to upload as I really like how Bert and Ernie turned out. Hi J. Am really glad to hear that. Thanks so much for giving me the opportunity to do it.